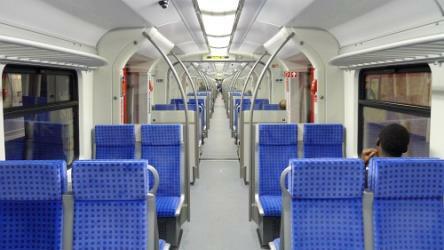 What is the cheapest way to get from Cologne/Bonn Apt Airport (CGN) to Hotel Lyskirchen, Cologne? The cheapest way to get from Cologne/Bonn Apt Airport (CGN) to Hotel Lyskirchen, Cologne is to drive which costs 1€ - 3€ and takes 14m. What is the fastest way to get from Cologne/Bonn Apt Airport (CGN) to Hotel Lyskirchen, Cologne? The quickest way to get from Cologne/Bonn Apt Airport (CGN) to Hotel Lyskirchen, Cologne is to taxi which costs 30€ - 40€ and takes 14m. 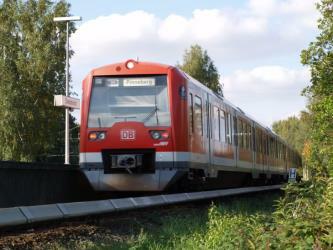 Is there a direct train between Cologne/Bonn Apt Airport (CGN) and Hotel Lyskirchen, Cologne? Yes, there is a direct train departing from Köln, Grengel/Flughafen Köln/Bonn Flughafen Bf and arriving at Köln, Dom / Hbf. Services depart every 15 minutes, and operate every day. The journey takes approximately 14m. How far is it from Cologne/Bonn Apt Airport (CGN) to Hotel Lyskirchen, Cologne? The distance between Cologne/Bonn Apt Airport (CGN) and Hotel Lyskirchen, Cologne is 13 km. The road distance is 15.2 km. 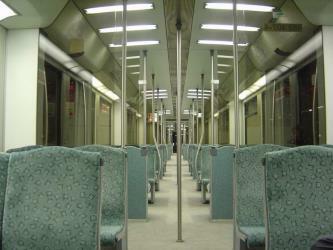 How do I travel from Cologne/Bonn Apt Airport (CGN) to Hotel Lyskirchen, Cologne without a car? The best way to get from Cologne/Bonn Apt Airport (CGN) to Hotel Lyskirchen, Cologne without a car is to train which takes 31m and costs 1€ - 15€. How long does it take to get from Cologne/Bonn Apt Airport (CGN) to Hotel Lyskirchen, Cologne? The train from Köln, Grengel/Flughafen Köln/Bonn Flughafen Bf to Köln, Dom / Hbf takes 14m including transfers and departs every 15 minutes. 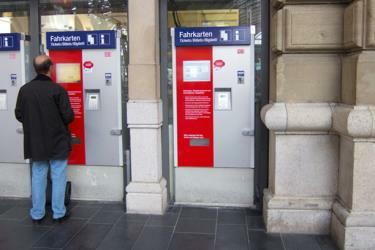 Where do I catch the Cologne/Bonn Apt Airport (CGN) to Hotel Lyskirchen, Cologne train from? Cologne/Bonn Apt Airport (CGN) to Hotel Lyskirchen, Cologne train services, operated by Deutsche Bahn, depart from Köln, Grengel/Flughafen Köln/Bonn Flughafen Bf station. Where does the Cologne/Bonn Apt Airport (CGN) to Hotel Lyskirchen, Cologne train arrive? Cologne/Bonn Apt Airport (CGN) to Hotel Lyskirchen, Cologne train services, operated by Deutsche Bahn, arrive at Köln, Dom / Hbf station. Can I drive from Cologne/Bonn Apt Airport (CGN) to Hotel Lyskirchen, Cologne? Yes, the driving distance between Cologne/Bonn Apt Airport (CGN) to Hotel Lyskirchen, Cologne is 15 km. It takes approximately 14m to drive from Cologne/Bonn Apt Airport (CGN) to Hotel Lyskirchen, Cologne. Where can I stay near Hotel Lyskirchen, Cologne? There are 1063+ hotels available in Hotel Lyskirchen, Cologne. Prices start at 53€ per night. What companies run services between Cologne/Bonn Apt Airport (CGN), Germany and Hotel Lyskirchen, Cologne, Germany? 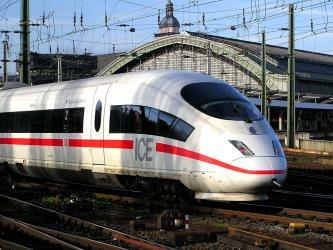 Deutsche Bahn operates a train from Cologne/Bonn Apt Airport (CGN) to Hotel Lyskirchen, Cologne every 30 minutes. Tickets cost 10€ - 15€ and the journey takes 14m. Two other operators also service this route. 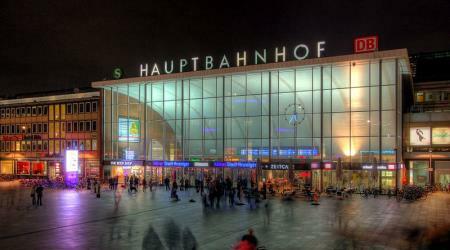 Köln Hauptbahnhof (German for Cologne main station) is a railway station in Cologne, Germany. The station is an important local, national and international hub, with many ICE, Thalys and Intercity trains calling there, as well as regional RegionalExpress, RegionalBahn and local S-Bahn trains. EuroNight and DB NachtZug night services also call at the station. 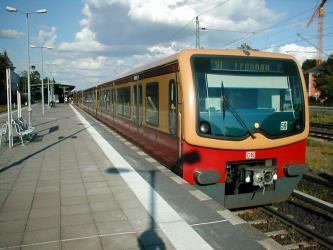 It has frequent connections to Frankfurt by way of the Cologne-Frankfurt high-speed rail line, which starts in southern Cologne. 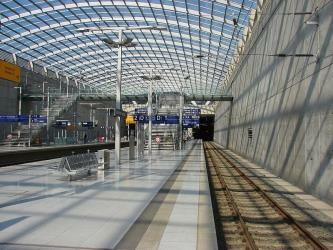 On an average day, about 280,000 travellers frequent the station, making it the fifth busiest station in Germany. Lanxess Arena (originally Kölnarena, German for Cologne Arena) is an indoor arena, in Cologne, North Rhine-Westphalia, Germany. It is known as the 18,500-capacity home of the Kölner Haie. The arena opened in 1998 and can accommodate 20,000 people for concerts. With its capacity of 18,500, it is the largest ice hockey arena outside of North America. Museum Ludwig, located in Cologne, Germany, houses a collection of modern art. It includes works from Pop Art, Abstract and Surrealism, and has one of the largest Picasso collections in Europe. It also features many works by Andy Warhol and Roy Lichtenstein. The Great Saint Martin Church is a Romanesque Catholic church in Cologne, Germany. Its foundations (circa 960 AD) rest on remnants of a Roman chapel, built on what was then an island in the Rhine. The church was later transformed into a Benedictine monastery. The current buildings, including a soaring crossing tower that is a landmark of Cologne's Old Town, were erected between 1150-1250. The architecture of its eastern end forms a triconch or trefoil plan, consisting of three apses around the crossing, similar to that at St. Maria im Kapitol. The church was badly damaged in World War II; restoration work was completed in 1985. 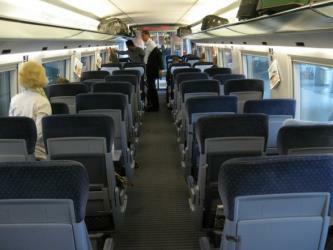 Rome2rio makes travelling from Cologne/Bonn Apt Airport (CGN) to Hotel Lyskirchen, Cologne easy. Rome2rio is a door-to-door travel information and booking engine, helping you get to and from any location in the world. Find all the transport options for your trip from Cologne/Bonn Apt Airport (CGN) to Hotel Lyskirchen, Cologne right here. Rome2rio displays up to date schedules, route maps, journey times and estimated fares from relevant transport operators, ensuring you can make an informed decision about which option will suit you best. Rome2rio also offers online bookings for selected operators, making reservations easy and straightforward.